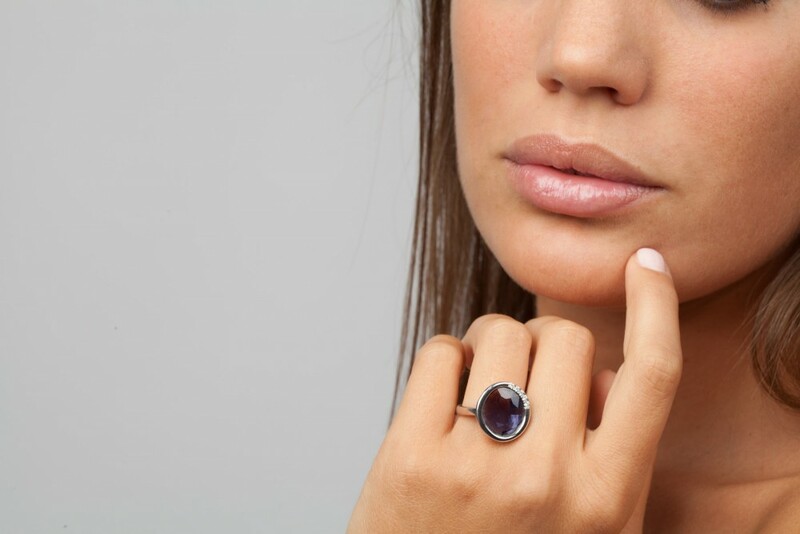 Ring in 18 kt gold with iolite and diamonds. 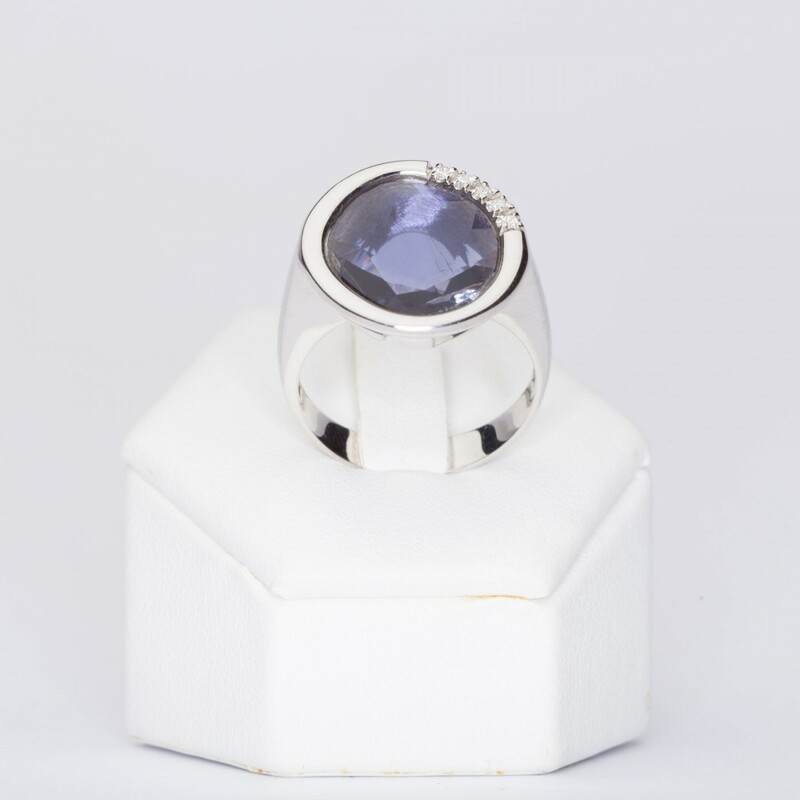 Handmade ring in 18 kt white gold with natural iolite and brilliant cut diamonds, total ct 0,06. The stone shows some clarity characteristic that underlines the authentic natural origin. Diamonds are high quality ones, color F, clarity VVS. 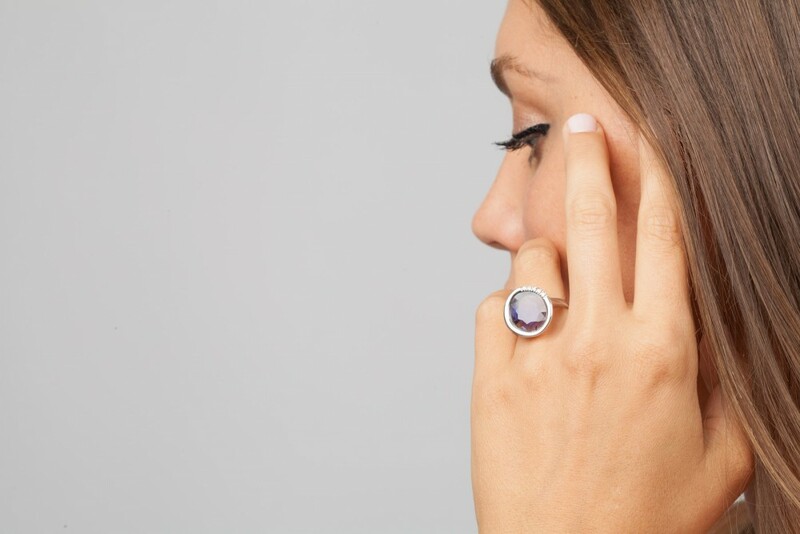 Ring has a diameter of 19 mm, the size is 17, if this size doesn't fit you, you can return it by indicating the desired size and we will arrange it at no extra cost, except the shipment cost.